Alion Science and Technology has tapped MacAulay-Brown, Inc. President and CEO Sid Fuchs to serve as chief operating officer. Fuchs joined Alion’s senior leadership team when MacB was acquired in August 2018 by Veritas Capital and merged with Alion. In his new position, Fuchs will report to Alion CEO Steve Schorer and will oversee all business and program operations for the corporation. Fuchs has over 30 years of experience in the aerospace and defense industry and in leading engineering and technology companies. Starting in 2011, he led the debt-free transition of MacB from a mostly U.S. Air Force SETA contractor to a high-end, double-digit growth next-gen engineering and technology solutions company before its 2018 exit. “With Sid’s track record and years of experience as an accomplished leader, business executive, and as MacB President and CEO, I’m thrilled to welcome him as COO for the entire Alion organization,” Schorer said. After the acquisition, Fuchs played a key role in integration, reorganization and infrastructure planning, Schorer added, as the company strengthens its position in electronic warfare, artificial intelligence, cybersecurity, data analytics and cloud solutions. “The transformation of the combined companies into one outstanding enterprise will more than strengthen our ability to provide mission critical services and solutions that our customers have come to expect,” Fuchs said. 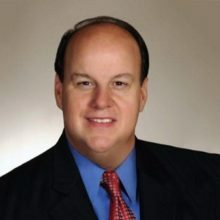 Prior to MacB, Fuchs was president and CEO of OAO Technology Solutions, which was acquired in 2010, and CEO and director of ATS Corp., acquired in 2012. Fuchs also served as president and CEO of TASC, a subsidiary of Northrop Grumman. There, he led the company to over $1 billion in revenue in 2006. He began his career as a CIA officer, where he held operations, technical and management positions. In January, Fuchs was named one of WashingtonExec’s 2019 Top 25 Execs to Watchfor the fourth year in a row, recognized for his experience and track record in leading the transformation and exit of several Govcon technology companies during his career. Bob Kipps, managing director of KippsDeSanto & Co., described Fuchs as a “fantastic choice” as Alion COO. Fuchs said he is excited to join the team. “In my new role as COO, I look forward to working alongside talented and experienced senior leaders at Alion, MacB, and Veritas Capital to take Alion into 2019 and beyond,” he said.